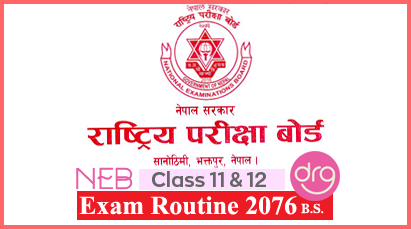 Secondary Education Examination (SEE) Exam Papers (Question Papers) 2074/2018. TU IOST published the result 6 Chaitra 2074 of M.Sc. Mathematics 3rd Semester 2072 Group which was held on Bhadra/Kartik 2074. Today, Government of Nepal has published a Notice regarding Ninth EPS-TOPIK 2018/2075. Form Fill Up Notice for Chance Exam of M.Sc. Microbiology 4th Semester 2072 Group. Form Fill Up Notice for Chance Exam of M.Sc. Physics 3rd Semester 2072 Group.